Your hard-earned and carefully nurtured brand reputation is enhanced by clean energy. Renewable energy is seen as the logical way forward by a large proportion of the public, internationally. 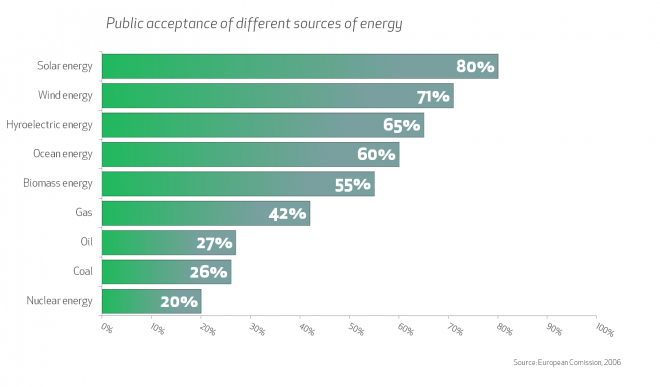 A June 2011 survey of more than18,000 people in over 20 countries showed that clean renewable energy (Solar, Wind, Hydro) were the preferred means of generating electricity by over 90% of the respondents. 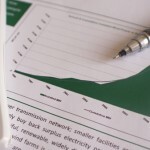 The most high profile clean technology – wind power – has consistently been supported by the majority of people in surveys going back over a decade. In 2007 the European Commission published the result of a Eurobarometer opinion survey: ‘EU citizens prefer renewable energy sources in general and wind and solar in particular’. The survey showed that 71% of EU citizens were “very positive” about the use of wind energy in their country. Only solar power reaches a slightly higher acceptance level (80%), whereas gas is supported by 42%, coal by 26% and nuclear power by just 20%. 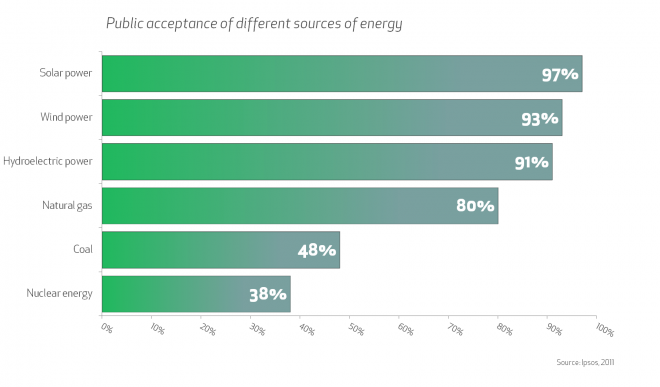 This was the first time that an explicit distinction had been made between renewable energy sources in the questionnaire, which examines the public’s knowledge, attitudes and perceptions of energy issues in all member states. The use of clean energy, and its attractiveness to consumers, is now being recognised by the ‘WindMade’ group. WindMade™ is a non-profit organization supported by Vestas Wind Systems, The Global Wind Energy Council (GWEC), WWF, UN Global Compact, The LEGO Group, PwC, and Bloomberg (the official data provider), with the mission “to empower citizens to choose products and companies created with renewable energy”. The use of clean energy technology within your organisation is likely to enhance the public perception of your brand. Being associated with clean energy will help keep your brand future proof and place you at the forefront of the market place. It will also demonstrate your organisations commitment to corporate social responsibility (CSR). Transforming your organisation to a resource efficient and low carbon economy will not only satisfy your customers’ expectations, it makes good business sense too.